First a cleanse update: I am day five in my body cleanse and I do not have a lot of energy at the moment. I know that means my body is working really hard right now to remove the toxins that have been stored up over the past 32 years! Yikes! I have really been reflecting on “Why I am doing this?” It is no joke! It takes a lot of perseverance a lot of will power. I am exhausted. Yesterday I was nauseated and had body aches. As a clean eater, I was NOT expecting this! However, I reflected back on my life and remember why. I remember that for years I used unsafe lotions and shampoos, I used toxic chemicals to clean my house, I ate foods that were filled with chemicals (diet sodas, splenda, packaged foods, even fast food! ), I even smoked cigarettes for six years (I quit on September 11, 2001). I abused my body. I took it for granted. I have never done a cleanse before so it is no wonder I am not feeling well and having flu-like symptoms. According to Markus Health, “YOU WILL GET WORSE BEFORE YOU GET BETTER.”Your body will strip down to bare bones and start over. You WILL lose weight. Most of it is water (held in your body by all that salt) and fat(which is where the toxins are stored). You will most likely smell bad, break out with zits, get weak, tired, look anemic, get headaches, get congested, your lungs will fill with mucus, your nose will run like Niagara Falls, your kidneys will hurt and you will probably get cold and flu-like symptoms. You will want to curl up in bed and just sleep.” That is all true! Cleansing is work for your body! It is getting rid of the junk… it is painful! In light of all of this uncomfortableness I am obsessed with vinegar! It is my best weapon in natural cleaning! It is amazing, non-toxic, and very cost-effective! Shine chrome sink fixtures that have a lime buildup, use a paste made of 2 tablespoons salt and 1 teaspoon white distilled vinegar. Renew sponges and dish rags by placing them in just enough water to cover them. Then add 1/4 cup white distilled vinegar. Let them soak overnight. To clean a scummy shower head, pour 1/2 cup baking soda and 1 cup white distilled vinegar into a sandwich bag and tie it around the shower head. Let this set for an hour after the bubbling has stopped. Remove the bag and then turn on the water. 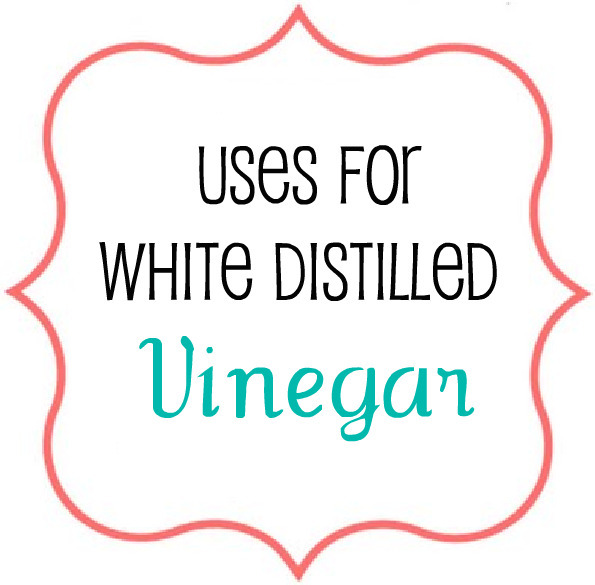 For cuts and scrapes, use white distilled vinegar as an antiseptic. Keep a dog from scratching its ears by wiping them out regularly with a soft cloth dipped in undiluted white distilled vinegar. Remove skunk odors by wiping down the animal with a 50-50 solution of white distilled vinegar and water, followed by a plain-water rinse. Repeat if necessary. Keep flies away from horses or other outdoor pets by spraying a mixture of water and white distilled vinegar around the area where the animals are. Kill fleas by adding a little white distilled vinegar to your dog or cat’s drinking water. Cats hate the smell of vinegar. If you have a cat that is marking its territory around your house, spray the area with white distilled vinegar then rinse with a hose. Prevent cats from eating your plants by spraying the leaves with a solution of white distilled vinegar and water. Previous Post Get Your Kids to Eat Healthy…Sweet Potato and Oat Bars! Hi Drew! That is awesome! I’m glad you liked the article, let me know how it goes!! !